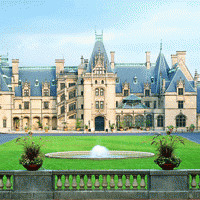 Explore the Biltmore Estate, Cherokee culture in Western North Carolina, South Carolina's Daufuskie Island and downtown Asheville. There are over 100 miles of Appalachian trails surrounding the Biltmore Estate, which viewers explore on horseback, much as guests of George Vanderbilt would have during the Gilded Age. 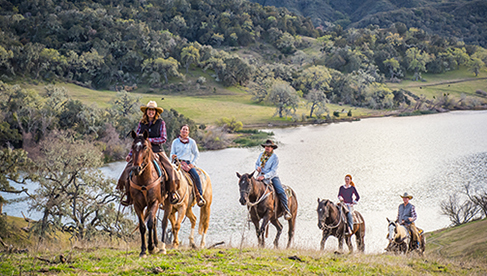 The Biltmore Equestrian Center focuses on natural horsemanship, which helps riders learn how to communicate with their equine partners. 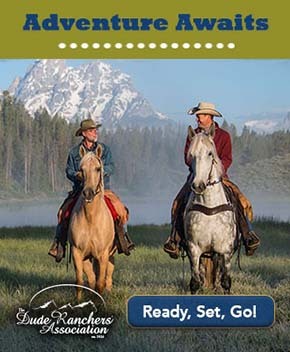 Watch some resident horses in training and learn why natural horsemanship is a powerful method of understanding horses. Next Darley takes viewers through the thriving arts scene in downtown Asheville, before taking a lesson in rock climbing at Chimney Rock Park. Traveling further West, Darley joins Cherokee tribal members to examine the history of horses in Cherokee culture. Riding Tennessee Walking horses and fishing for trout in the Great Smoky Mountains, viewers are immersed in history, adventure and Cherokee culture. Finally, step back in time to a small barrier island full of Southern charm and only accessible via ferry. Darley and her local guides canter along the wide, pristine beaches of Daufuskie Island. Horse riding is the perfect way to explore this small island off the coast of Hilton Head Island, S.C. Viewers learn about the islands original inhabitants, the Cusabo Indians, on a ride down dirt roads towards a maritime forest that was inhabited thousands of years ago by the Cusabo.